One major discovery, that’s all it will take to set Newfoundland Offshore on fire! According to the Canadian Environmental Assessment Agency, there are six drilling project summaries submitted by five operators offshore Newfoundland. That translates a possible 80 + proposed drilling programs for the lucrative region. 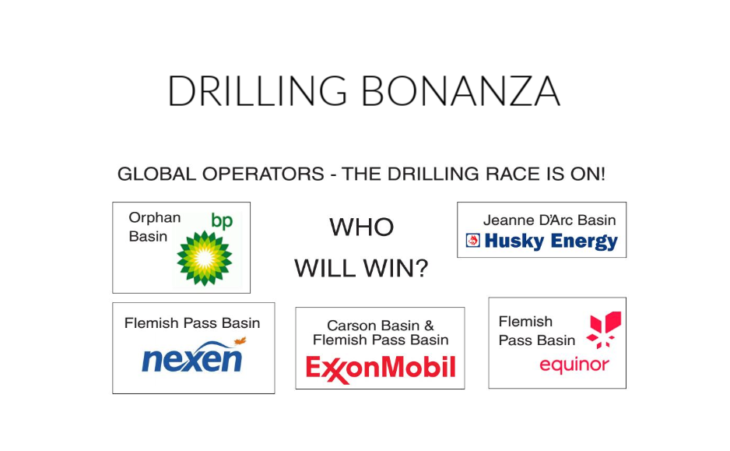 Drilling exploration will take place in the Orphan Basin by BP, in the Jeanne D’Arc Basin by Husky Energy, in the Flemish Pass Basin by Nexen and also by Equinor, and in the Carsin Basin and Flemish Pass Basin by Exxon Mobil. Given Newfoundland’s drilling success ratio of one in five (some say one in ten), the probability is high that we will have a major discovery in the coming years. This would then be the catalyst for other finds and the possibility of Offshore Newfoundland taking off as the North Sea has. 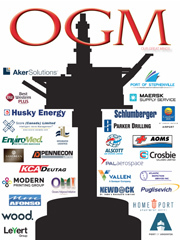 Many conditions and variables need to happen in order for the stars to align and discoveries to be made; however, the probability is high, the right players are all at the drill bit and the conditions are perfect for a drilling bonanza that just might make Offshore Newfoundland one of the top places in the world to invest and develop. Get ready! We are in lucrative times. Could the oil and gas industry, offshore Newfoundland, double in the next ten years? In Norway, state-owned oil projects often have upwards of 60% ownership in their oil and gas projects. 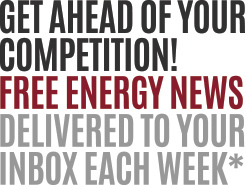 This model of investment in the energy industry has served them well. Norway is now sitting pretty with the largest nest egg in the world; A sovereign wealth fund with over US$1 trillion in assets, including 1.3% of global stocks and shares. In May 2018 Norway’s fund was worth about $195,000 per Norwegian citizen. It also holds portfolios of real estate and fixed-income investments. Newfoundland should do precisely that. The trillion-dollar Government Pension Fund that Norway has created, pushes for more transparency and focuses on doing the right thing. It shuns individual companies and entire sectors like tobacco peddlers, and nuclear weapons makers because it’s the right thing to do. They operate from a higher good. They can afford to. That is a smart oil and gas strategy and societal formula. One we can all aspire to! Newfoundland, through Nalcor Energy, has marginal ownership in producing oil projects, ranging from 4.9% to 10% equity shares. This model promotes jobs and short-term needs but loses on the long term investment growth and security model, that Norway has been so successful in achieving. Oil and gas production in the Norwegian Continental Shelf comes from 107 identified fields with 85 fields currently in production. Comparatively, Offshore Newfoundland has four oil-producing fields. It’s time to catch up! 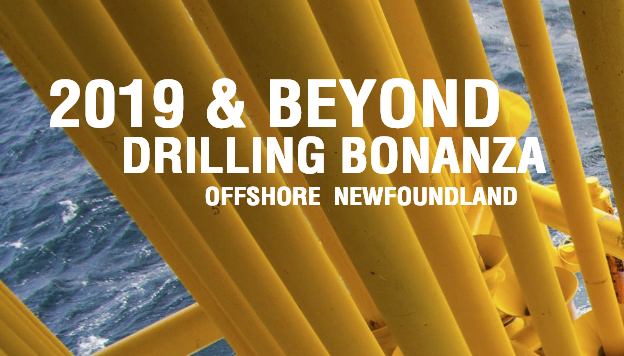 This year and the next Newfoundland will have upwards of six aggressive drilling players offshore, with an estimated 80+ wells to be drilled. Not only is our drilling/find ratio high, at one in five wells, but we also have unprecedented exploration happening like never before. One significant find and we are on a fast track to future projects and the same opportunities as that of the North Sea. But before we go any further, we need to be oil asset owners and managers. Canada should be smart enough to realize that oil and gas is the catalyst to new energy both from a monetary and infrastructure perspective. Clearly, the smartest thing we can do with oil and gas is own our projects and use oil and gas to build new sustainable energy infrastructure. Oil and gas is the foundation of new energy coming on stream and given world demand it’s not going to be one energy source or the other; it’s going to be an energy mix of resources for the next 40-50 years. Those are the facts. It’s time for Canada to invest in our offshore projects and create investment successes like that of Norway. Why not? We have a proven infrastructure, the perfect investment climate, and unprecedented world-class opportunity offshore Newfoundland. If Canada doesn’t get the perspective right when it comes to oil and gas, perhaps it would be right for Newfoundland to join Norway. 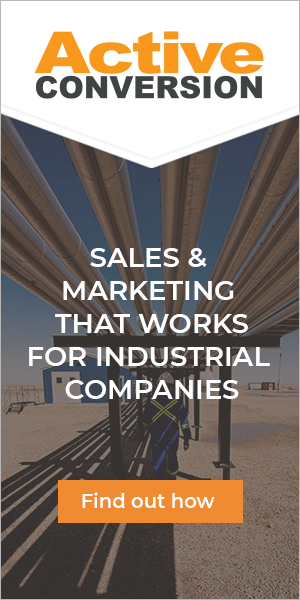 In a time of globalization, aligning with the world’s energy giant and masterful investment strategist just might be the ultimate solution for our kids here in Newfoundland and Labrador. Having said all that, it looks like the next 2 to 5 years will see the most prolific growth in the industry to date, offshore Newfoundland. I often wonder what would happen if Newfoundland left Canada and joined Norway. I imagine a different future. Aligning with the Norwegian model of developing our oil and gas, fishery and tourism sectors would allow Newfoundland to flourish as Norway has. That idea would entirely change Newfoundland history!